Liverpool star Emre Can is expected to link up with his teammates tomorrow after a lengthy break. Can was given an extended holiday after his Confederations Cup triumph with Germany. The 23-year-old has just 12 months remaining on his current deal which has resulted in rumours emanating from Italy that he could be on the move. In fact Tuttosport report that Can has actually agreed a deal with Juventus and all that remains is for the clubs to strike an agreement. Per the source, Juve are prepared to offer as high as €35 million to price the midfielder of Turkish origin away from Anfield. 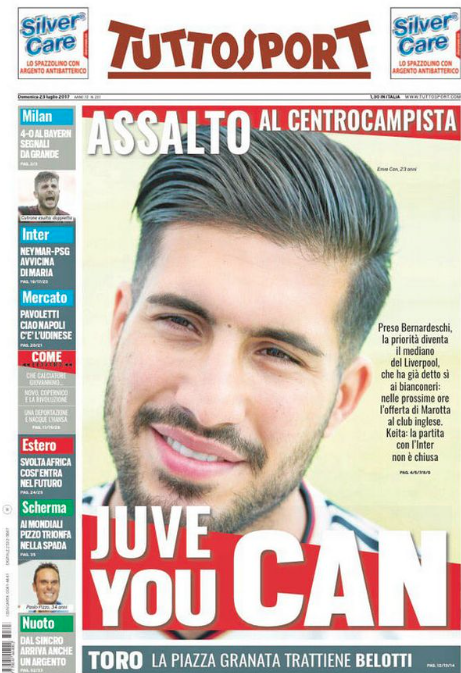 Juve see Can as the heir to Sami Khedira in midfield and have made him a transfer priority. Jurgen Klopp is unlikely to let his star man leave without a fight. Especially after selling Lucas Leiva and so far having attempts to sign RB Leipzig’s Naby Keita thwarted. 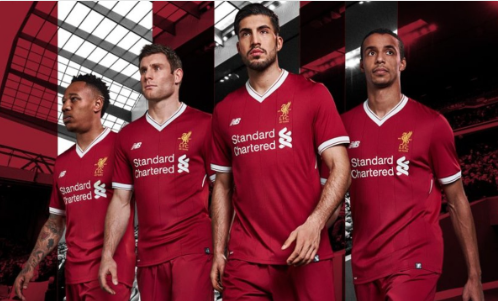 Can was an important player in the Reds midfield, especially towards the tail end of the season following Jordan Henderson’s injury. The powerful midfielder played a key role in the Reds march to a top-four spot, securing Champions League football next season.